April 20 2017 – The smoke alarm and carbon monoxide (CO) manufacturers recommend to replace your alarms every 10 years and some CO alarms say every 7 years. Please read your manual or look at the alarms for the manufacturers recommendation. Depending on the alarms you have now, you may just need to replace the unit, or the unit and the mounting plate or the unit, mounting plate and wiring harness. Please remember to test them twice once the last replacement is done to make sure they are all synced together. Also, your garage may have a heat detector alarm that needs to be replaced too. There are some neat (but of course more expensive) alarms now that combing smoke and CO alarms and have 10 year sealed batteries so no more late night chirping and climbing tall ladders to change the 9V batteries. February 13 2017 – Taking care of your carpet is very important. You should vacuum regularly (at least once per week or more if you have pets) and also professionally steam clean the carpets about once per year (but please check the manufacturers recommendations). You likely also need to have the carpets professionally steam cleaned to keep the warranty valid. June 12 2016 – Remember to check the exterior caulking around your house on a regular basis and correct as necessary. Pay particular attention to the caulking around the windows. We use Dap Dynaflex 230 on all new homes for the past several years and that is what we recommend to do touchups with or another brand with similar characteristics as Dynaflex 230. This is about the best caulk you can buy and is well worth the investment, especially in this Colorado climate. 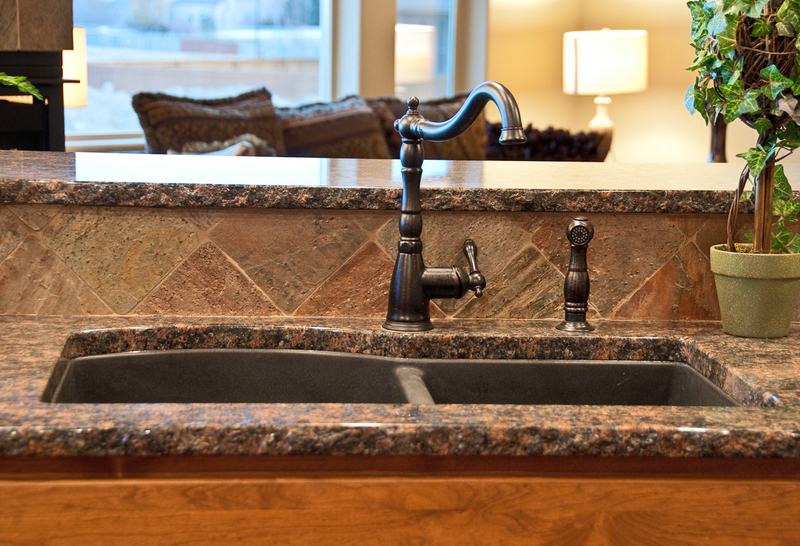 May 5 2016 – If you have a granite composite kitchen sink like we typically use in our new homes and have some tough to clean spots on it, try wiping olive oil on it. We had an issue recently with a new home and the manufacturer suggested olive oil and it worked great. March 11 2016 – Friendly reminder to change your furnace filter on a regular basis. Our newer R&R Homes Energy Star homes have the thick 5″ furnace filters and these usually only need to be change once per year. If you have pets, I recommend every 6 months. Please check the furnace filters regularly to make sure they do not get too dirty and cause issues with the furnace operation that are much more expensive to fix than buying new filters. February 20 2016 – Don’t forget to check the grout and silicone caulk in your showers on a regular basis to make sure there are no gaps where water could get behind the tile and cause damage. One place to really keep any eye on is around a shower seat and also under the shower seat ledge. Another place to keep an eye on is where a flat section meets a vertical wall in the shower (for instance if the shower seat is on the shower head side and the other side is part of the tub deck, this is the area I am referring to). Please check this regularly to make sure there are no issues with your house. January 19 2016 – Happy New Year! Here is a plumber’s trick for the garbage disposal – put a bunch of ice in the disposal and run it if it is making a louder than usual noise or seems something is wrong. Now this will not fix everything but is an easy try before calling a plumber for a service call. Remember there is the red reset button on the bottom of the disposal and also the allen wrench key to turn it if a rag or similar became stuck in there. Always unplug the disposal before putting your hand in the disposal or better yet, don’t do it at all! Remember to wipe your plates into the trash can and then use the disposal for the really small stuff. November 5 2015 – We will have our first pro-longed temperatures below 32F the next few nights so please make sure your sprinklers are blown out and all exterior hoses are disconnected. May 22 2015 – We have had a lot of rain recently and I have not turned on my sprinklers yet. This is great for out lawns and lakes but may not be for settling. Please be sure to check around your house to see if the water is puddling in any areas (especially around the foundation) and correct the drainage. All the water on your lot should flow off efficiently. April 1 2015 – It’s no joke! We will likely have snow here in Northern Colorado on Thursday 4/2 night so please make sure you do not leave exterior garden hoses connected! It has been really nice here for March with 70’s during the day and 40’s at night but it will be in the 20’s for the next few nights. A neighbor down the street just split his hose bib last weekend after leaving it attached and pressurized and put water into his basement. Please make sure you protect your vacuum breaker and drain the line if you have already turned on your sprinklers. Maintenance Tip #16 – March 8 2015 – Don’t forget to shovel your back patio and other concrete areas when it snows, not just the driveway and sidewalks. The snow melting and re-freezing will take its toll on all concrete. Maintenance Tip #15 – October 28 2014 – Check your roof and gutters regularly with a visual inspection from the ground to make sure everything looks correct. You can also clean out the gutters to remove any leaves or asphalt shingle “dust.” Please be careful when hanging Halloween and Christmas decorations! Maintenance Tip #14 – October 16 7 2014 – It is mid-October but we are having awesome weather! Sunny and in the 70’s and the trees are beginning to change colors. Now is the time to think about your sprinkler blow-outs, disconnecting exterior hoses and preparing your yard and house for fall and winter. Please remember to take the time to check your smoke alarms and carbon monoxide detectors operation and batteries. Please also check the exterior caulking to make sure no water gets in. Have a great Fall and a Happy Halloween! Maintenance Tip #13 – March 7 2014 – Do you have a standing pilot light in your house? All new R&R Homes have automatic electronic ignitions for the 92.1% high-efficiency furnace, Rinnai tankless water heater, gas range and yes, even the fireplace! Of course all of our appliances are direct-vent as well for superior indoor air quality. If you have an R&R Home built prior to 2008 or so you may have a standing pilot light for the fireplace. A standing pilot light costs about $12 per month based on various studies and of course varies by fireplace brand and the cost from your natural gas provider. A detailed article from UCSD Physics Department can be read and similar articles back this up. Please turn off your standing pilot light on your fireplace during the warmer months when it will not be used to save you money. Maintenance Tip #12 – January 11 2014 – Remember to check for settling around your foundation and patios to make sure the grade slopes away from your home. This will ensure the water and melting snow moves away from your house and drains to the proper location. Some settling will occur over time to all homes. Maintenance Tip #11 – December 6 2013 – Now that winter is upon us, don’t forget the magnesium chloride put on the roads will do damage to your vehicle and your driveway and garage floor. Please clean off your garage floor and driveway once a storm has passed to keep your driveway and garage floor in good condition. Please also wash your vehicle and hose off the underside too. A suggestion for vehicles is to stop in the street before you pull into your driveway and garage and kick the fenders and wheel wells to help drop the road slug off. This will help drop most of the road slug off your vehicle so it doesn’t fall onto your driveway or garage floor. Another tip is to wash your vehicle in the street to avoid getting more magnesium chloride onto your driveway. Maintenance Tip #10 – October 11 2013 – Don’t forget to blow out your sprinklers soon and apply fall fertilizer. If it will be cold for only one night and you wish to water more, you can turn off the sprinkler water and drain the line inside and out and cover the vacuum breaker with a blanket and you should be okay. With a short dip to 32F, the water in your underground pipes will not freeze that quickly. Maintenance Tip #9 – June 6 2013 – Your carpet from R&R Homes is a Stainmaster Carpet (if you purchased your home before 1/1/2013 or so) or a Shaw Anso Premium Nylon (if you purchased your home after 1/1/2013 or so). Please visit their websites for proper cleaning details to keep your carpet looking new. You should have received a warranty and care booklet in your Builder’s Book so please contact us if you did not. Maintenance Tip #8 – June 6 2013 – You should not clean your real hardwood floor with just any cleaner as it will damage your floor. Please visit Schmidt Custom Floors who installs all of our new hardwood floors for their use and care guide to make sure you maintain your real hardwood floor properly. Personally, I use a mix of water and vinegar for everyday cleaning and then use the Glitsa cleaner for better cleanings about once a week. Maintenance Tip #7 – May 9 2013 – We are getting close to turning on sprinklers, planting flowers and fertilizing. Remember to sweep any stray fertilizer off your concrete so the iron in the fertilizer does not stain your concrete. After turning on your sprinkler system, please do through every zone and adjust your sprinkler heads as necessary. This is also the time to check your exterior caulking and interior grout and silicone for any issues. Maintenance Tip #6 – April 24 2013 – Now that spring is here, it is time to aerate your lawn and trim the trees and bushes and turn on your sprinklers. Please turn the water to the sprinkler system on slowly and run every zone to check for broken or damaged sprinkler heads. Now is the time to add fertilizer to your lawn before too many weeds start growing in your lawn. Maintenance Tip #5 – March 10 2013 – In the winter months when our sprinkler systems are not running, you should add about a gallon of water to each plant and tree every month if we do not get much snow or rain. This will help keep the plants and trees healthy and ready for Spring. Also, remember to apply lawn fertilizer in early Spring before the spring snows end. Maintenance Tip #4 – March 10 2013 – It is warming up here in Northern Colorado and will be in the 40s today after snow yesterday. Never leave a hose attached to the exterior hose bibs in the winter as it can freeze and split the copper line inside and leak. It is getting warmer now but we may still have some nights below 32F so please do not leave them connected when not in use until later in Spring. Maintenance Tip #3 – February 19 2013 – Twice a year (easy to remember to do this when the time changes) you should check the interior of your home for any grout or silicone issues. 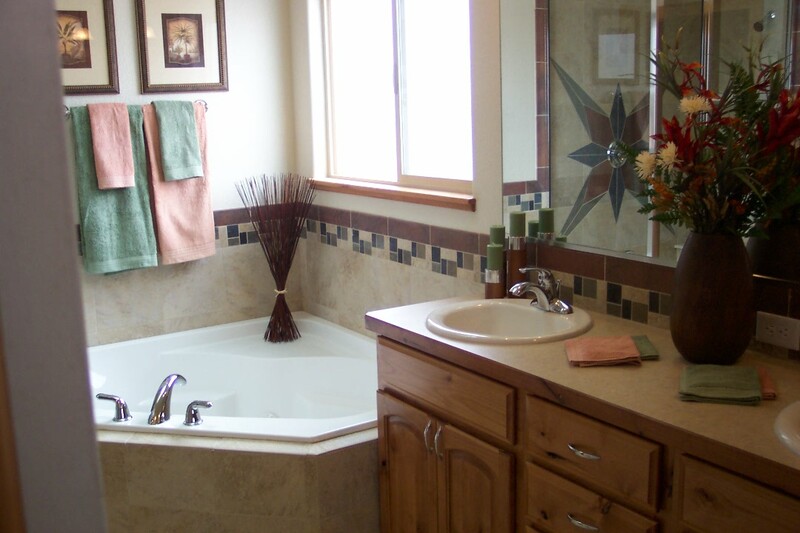 R&R Homes typically installs silicone in all the bathrooms and kitchens and laundry rooms wherever there is tile and right angles. These areas tend to hold the most water and the silicone keeps water out of the grout. Please purchase a high-quality silicone and follow the directions for application. If there is missing grout or silicone then water can get behind the tile and then you will have to repair it. It is much easier to fix grout or silicone than to replace parts of your shower. Also remember every few years to check and seal your tile as directed by the original tile sealant you installed in your new home. Please follow this maintenance so your beautiful shower (like in the picture below) will stay this way. February 6 2013 – This blog post will list some recommended maintenance issues over the next few months. Even though your new R&R Home is Energy Star rated and built very well, you still need to maintain your home just like you do your car. We go from sometimes very hot in the summer to very cold in the winter in a few months here in Northern Colorado but that is why it is so beautiful here. We get the see the changing of the seasons and snow but it seems to never be too much of one thing that we tire of it quickly. Please let us know if you have any questions or would like us to discuss a topic in this posting at tracy@tracysteam.com or 970-567-0907. Thank you. Maintenance Tip #2 – Always wash the magnesium chloride that your car or truck brings onto your driveway and epoxy coated garage floor. If it sits too long it will eat away at your concrete or epoxy coating on the garage floor. A hose and a broom works just fine for this task. Also remember to wash the underside of your car or truck at the car wash or in the street to remove the magnesium chloride. This does not have to be done immediately after it snows but in a timely manner so it does not sit too long. Maintenance Tip #1 – Twice a year (easy to remember to do this when the time changes) you should check the exterior of your home for any caulking issues. Caulk is easy to apply and will keep water, etc out of the siding and against the moisture barrier wrap. We recommend to use the Dynaflex 230 white caulk product as it can expand and contract with the weather better than other caulk and it can be found at The Home Depot and other stores. You can then paint over the new caulk when it is dry. R&R Homes builds new Energy Star homes in Northern Colorado. Please visit our website at www.randrnewhomes.com or call us at 970-567-0907. R&R Homes builder update on the Northern Colorado new home construction market.